Effect of the deep-freezing method on bread texture and quality. A deep-frozen product is an industrial product that is cooled down at very low temperatures, whereas a frozen product can be cooled down even at home at temperatures below zero. In particular, freezing occurs when the cooling process takes place slowly, while deep-freezing involves a fast reduction of temperature. A recent study conducted by an Italian researcher (Nardi, 2016), explains the main technological aspects of this process in the production of deep-frozen bread. According to the author, in terms of quality, during storage the product may be subject to sublimation and oxidation. In case of a temperature rise of even a few degrees, the vapour pressure increases and ice crystals tend to sublimate. Therefore, the moisture content of food diminishes and the product becomes more dry. Oxidation, on the other hand, occurs regardless of preservation conditions, although at temperatures below zero this phenomenon is significantly slowed down. Bread can be deep-frozen (i) before baking (uncooked frozen bread) or (ii) after starch solidification, but before the crust is formed (pre-baked frozen bread). 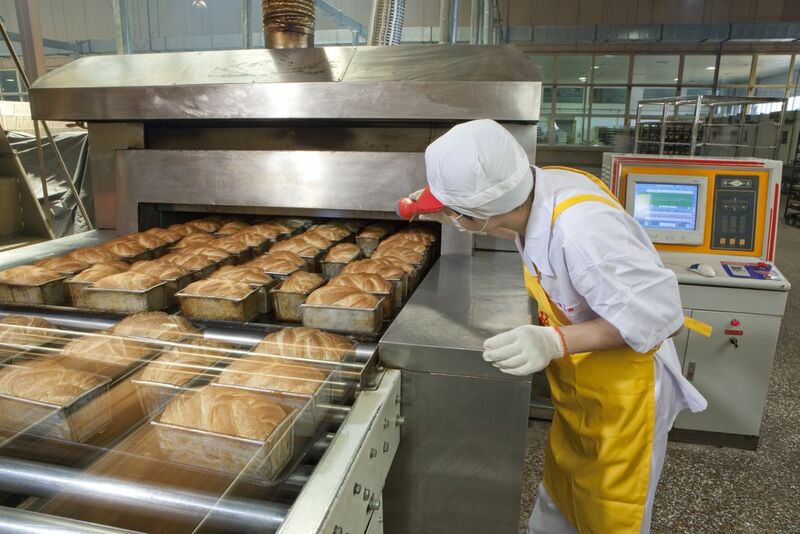 In the first case, the product must rise after thawing and before baking, for quite a long time and its fermentation capacity depends from the duration of its storage. The resulting bread does not have a constant quality: its texture depends on the variables during the thawing phase. In the second case, the product only needs to be cooked before use. There is only a minimum difference with fresh bread, mainly related to the possible dehydration of the product during its frozen storage. Furthermore, the study investigates the leavening process, which is vital for the taste, fragrance and texture of the end product. The author points out the advantages that can be obtained by changing the main parameters of this processing phase for the development of products of different – though high – quality, even in the case of frozen bread. The use of sensory analysis in the development of bread with specific properties. Over the years, scientific research investigated bread from different points of view, as for instance wheat culture, genetic selection, technology for flour extraction, baking technologies, fermentation process, next to the use of flours that better respond to specific needs. Only in a second time researchers have become involved with the definition of the product’s sensory quality, for a factual and complete assessment of the quality at consumption. A recent study conducted by an Italian researcher (De Santis, 2016), shows the main advantages deriving from the use of sensory analysis in order to define bread quality. According to the author, this analysis can provide basic information on the great number of studies, research, marketing and innovation activities. In general, the tests that provide the most reliable results in order to set out the sensory properties of the examined product are descriptive tests. They imply the description in terms of quality and quantity of the sensory properties of a food product by a panel of approved tasters trained to taste according to official regulations. The assessment includes the implementation of standard procedures, complying with official methods, and goes through (i) selection of descriptors; (ii) calibration of the panel and (iii) evaluation of the descriptor’s intensity. The defined profile is then represented by means of radar diagrams which provide for immediate interpretation. In some cases, the relations with different variables are taken into account (chemical and physical parameters, a.o. ), in order to understand why changes occurred (process, raw materials, transport, storage, etc.) and how they affect the sensory properties of the product. According to this study, it is obvious that sensory analysis is a very useful and versatile scientific tool for the development of food products.